1. 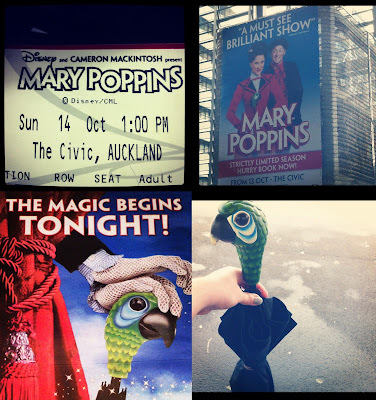 Correct me if I'm wrong but this is the biggest musical to ever be seen in New Zealand. There are 150 people involved in each of the shows & the set is enormous. Don't think that it's been scaled down in any way for New Zealand, this is the full Broadway spectacle & for that reason alone you cannot miss it. 2. One of the absolute highlights of the show is seeing Mary fly. Yes, she really does fly around the Civic Theatre. It is breathtaking to see & with the ceiling of the theatre resembling the night sky it is the perfect setting. 3. Everyone has at least watched Mary Poppins on film at some point in their lives, whether it be childhood or recently. If you loved the film (in particular the songs) then you will love the show. The story does stay truer to the books than the films but that definitely gives the show a greater depth. 4. You learn how to spell 'Supercalifragilisticexpialidocious' in one of the most high powered dance numbers, ever! You also learn where exactly that word originated. 5. Step In Time. The film version of that number seemed dull to me when I was younger, it still does now. On stage however it is something else entirely with Chimney Sweeps tap dancing across the stage along with Bert, Mary & the Banks Children. Bert even goes over the rooftops, literally! It is one of the best numbers in the show. 6. The costuming is stunning! Bob Crowley designed both the set & the costumes. His attention to detail is impeccable. Standout pieces include; All Mrs Banks' Costumes, Mary's Coats & Hat & all the Supercal Costumes. 7. You can fulfill a childhood dream & bring home your very own Parrot Umbrella! Sadly they don't talk like their on-screen counterparts. Nevertheless it's a pretty fantastic umbrella to have in your possession. 8. "Anything can happen if you let it." "Our troubles are never so bad when you look at them from a little higher up." There are plenty of insightful anecdotes within this musical which everyone in the audience can relate to in some way which is undoubtedly why Mary Poppins has been such a success on stage. 9. Rachel Wallace & Matt Lee are both superbly cast as Mary & Bert. In fact the entire cast are all fantastic in their roles & are incredibly talented. Honourable mention has to go to Sally-Anne Upton & Christopher Rickerby as Mrs Brill & Robertson Ay. They have some of the best lines & are hilarious on stage. 10. Last but not least all the magical moments are there, like Mary's bottomless carpet bag, cakes that magically cook, statues that come alive & much much more. You really do have to see it to believe it & of course be enchanted! 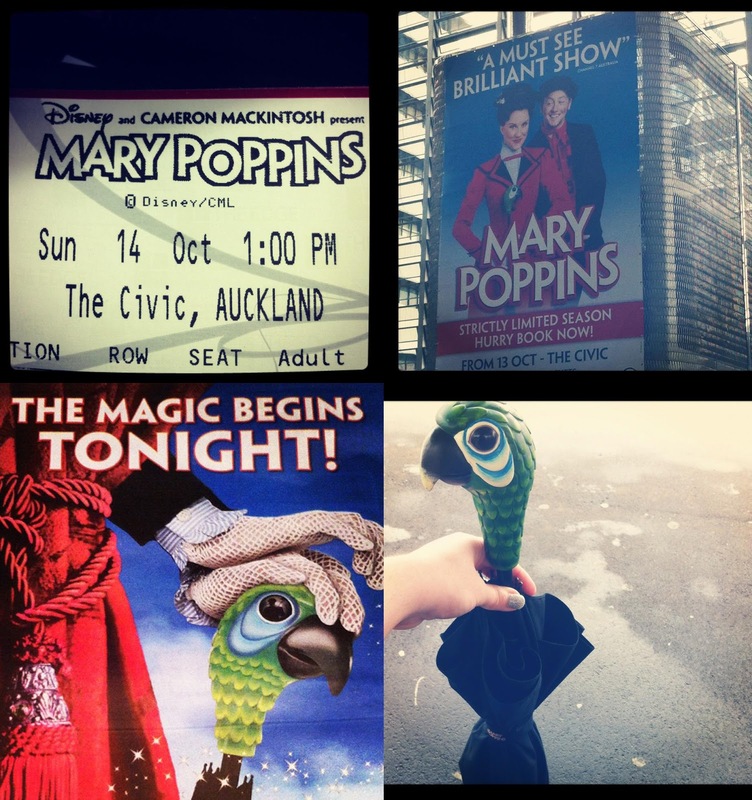 -Mary Poppins is on now at the Civic Theatre in Auckland with dates currently going to mid-December. You can find out more about the show here & book your tickets here.